him for all the Christmas parties. He’s so real like . perfect. Giving gifts taking pictures and singing. He was wonderful with the wide range in ages we had at our Santa party. He sang with the kids and answered all of their Santa-related questions in a creative way. 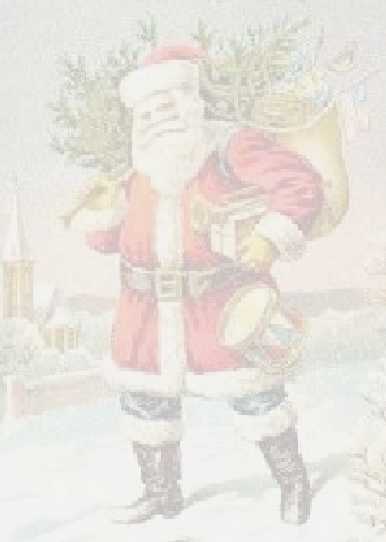 He was a wonderful Santa! He came to our daughter’s birthday and was very professional and great with the children! The kids are still talking about it! We will definitely have him again! WOW!!! Santa John looked amazing!!! From his real beard, his costume and his custom Santa belt it was perfect! All my guests could not stop complimenting how real he looked! He was professional, courteous and accommodating to all our needs. get out until a few minutes past. He was super nice and a natural with our kiddos. Santa John was the best Santa I have seen. He was sweet, kind, and funny. His "HO HO HO" was the great! He took indoor photos and outdoor photos in the cold and was very patient with us. Santa John was a Surprise for my Grandbabies. They were excited and thrilled with Samta John. their visit with him... some children kept going back to chat with Santa even more! We will call Santa John when we have our next Christmas event, without a doubt.